The Georgtown SC - Cape Lookout CMOR cards covers some of the best bottom fishing, king fishing and diving locations offshore of Long and Onslow Bay and centered around frying pan tower. The majority of the depths are from 50-150ft with a few areas extending to 300ft on the ledge. The data from frying pan tower to the west toward GeorgeTown SC is in continuous blocks. There are several wrecks and some astonishing natural features surrounding the frying pan tower. 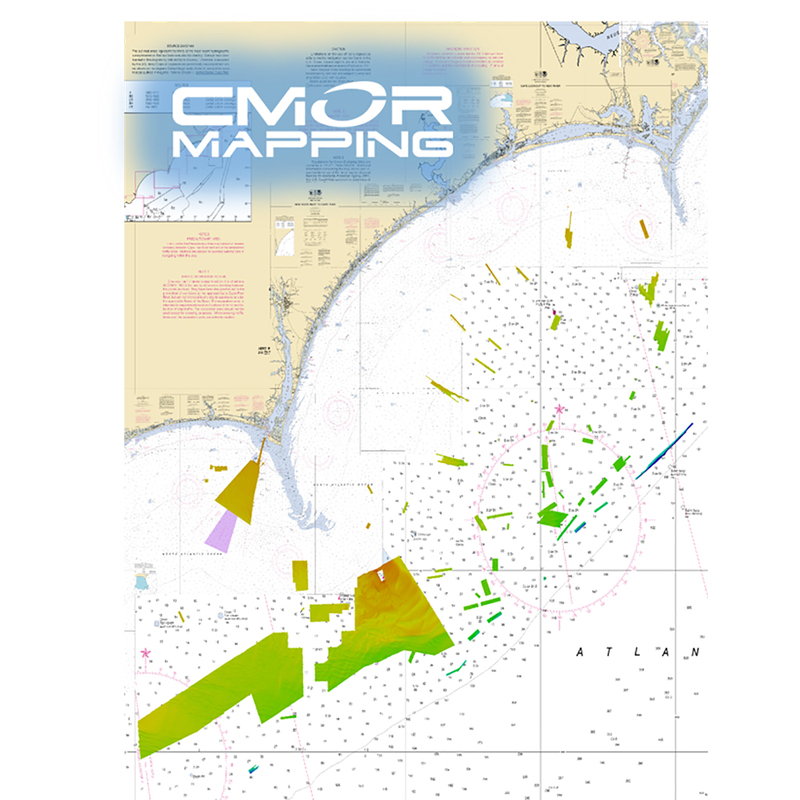 The data from frying pan towards cape lookout consist of numerous small areas containing wrecks, ledges, and random small natural bottom features that tend to hold some of the largest concentrations of fish. These spots are traditionally missed due their size. NOAA Charts 11520, 11536, 11531, 11539, 11543, and 11544 are included in the background.